Did CBS All Access 'The Good Fight' Tweet Veiled Trump Threat? Home » TV » Did CBS All Access’ ‘The Good Fight’ Tweet Veiled Trump Threat? Needless to say, quite a few Twitter users – on both sides of the political aisle – weren’t interested in being “in” on the “joke” and the tweet has since been deleted (though Deadline Hollywood saved an image of the tweet.) CBS has not issued a formal statement on the matter. “The One where Diane Joins the Resistance” — Episode 303 — Pictured (l-r): Christine Baranski as Diane Lockhart; Kate Shindle as Rachelle Max; Katie Finneran as Valerie Peyser; Lauren Patten as Polly Dean of the CBS All Access series THE GOOD FIGHT. Photo Cr: Patrick Harbron/CBS ÃÂ©2018 CBS Interactive, Inc. All Rights Reserved. 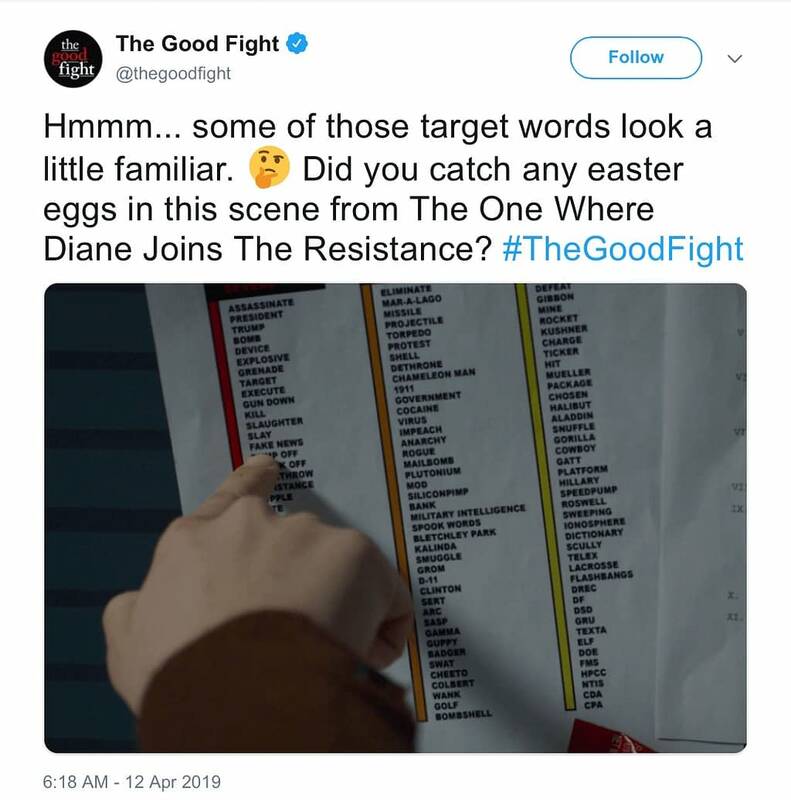 The Good Fight s03e03 “The One Where Diane Joins The Resistance”: As the world appears to spin out of control, Diane Lockhart (Christine Baranski) starts to lose hope–until she finds a group of other like-minded women who refuse to play by the rules. Will Liz Reddick-Lawrence (Audra McDonald) join the fight, too? In the episode, Christine Baranski‘s Diane Lockhart joined a female resistance group commited to driving down Trump’s approval ratings. The world went crazy in the THE GOOD FIGHT’s second season, and now, in season three, the resistance does. Diane Lockhart (Christine Baranski) tries to figure out whether you can resist a crazy administration without going crazy yourself, while Adrian Boseman (Delroy Lindo) and Liz Reddick-Lawrence (Audra McDonald) struggle with a new post-factual world where the lawyer who tells the best story triumphs over the lawyer with the best facts. Meanwhile, Lucca Quinn (Cush Jumbo) balances a new baby with a new love, and Maia Rindell (Rose Leslie) finds a new Mephistopheles in Roland Blum (Michael Sheen), a lawyer who is corruption incarnate. 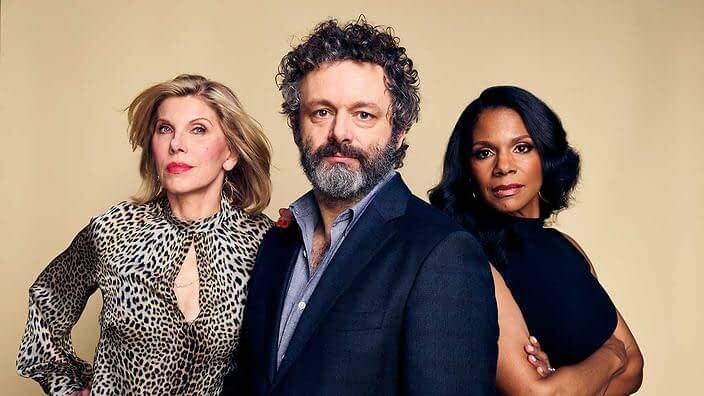 CBS All Access’ The Good Fight stars Baranski (Diane Lockhart), Cush Jumbo (Lucca Quinn), Rose Leslie (Maia Rindell), Audra McDonald (Liz Reddick-Lawrence), Sarah Steele (Marissa Gold), Michael Boatman (Julius Cain), Nyambi Nyambi (Jay Dipersia), Michael Sheen (Roland Blum), and Delroy Lindo (Adrian Boseman). 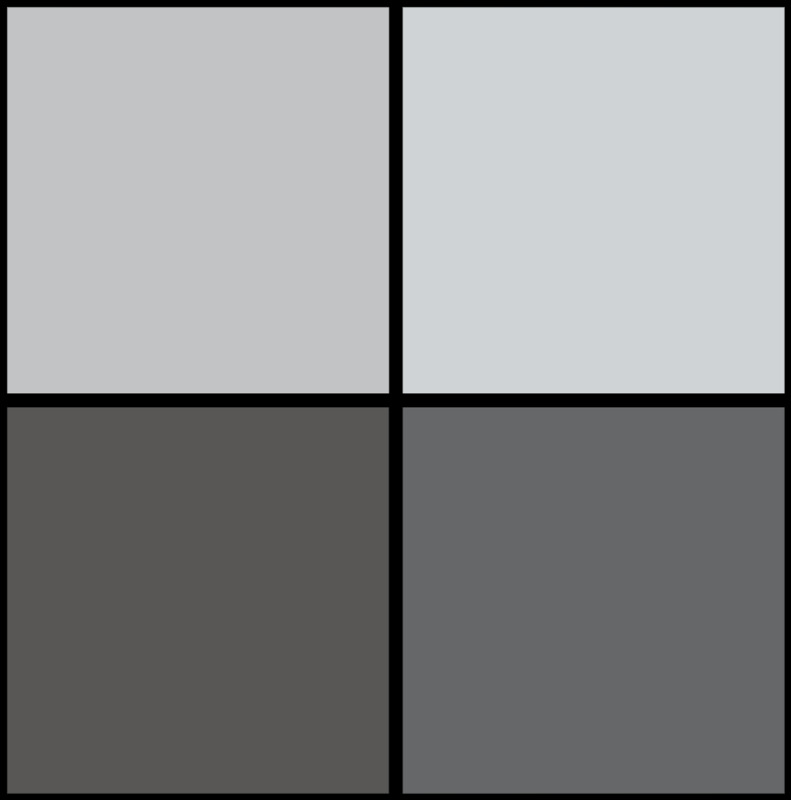 Created by Robert King and Michelle King and Phil Alden Robinson, The Good Fight is executive produced by Robert and Michelle King, Ridley Scott, David W. Zucker, Liz Glotzer, Brooke Kennedy, and William Finkelstein. The series is produced by CBS Television Studios in association with Scott Free Productions and King Size Productions. The series is distributed worldwide by CBS Studios International.